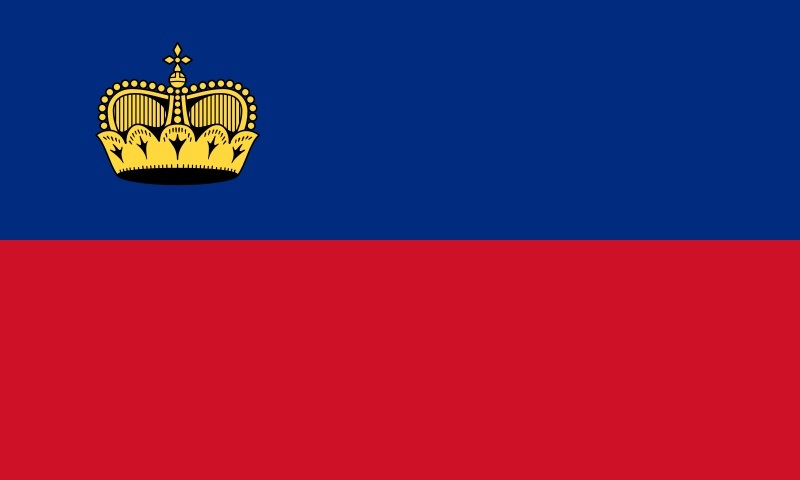 My first cover from the Principality of Liechtenstein! Thanks to Florian Tirk of Austria. On the cover, Florian affixed one stamp featuring the classic Hinstin car. One special cancel was applied on the cover. The special cancel features Vaduz Castle. 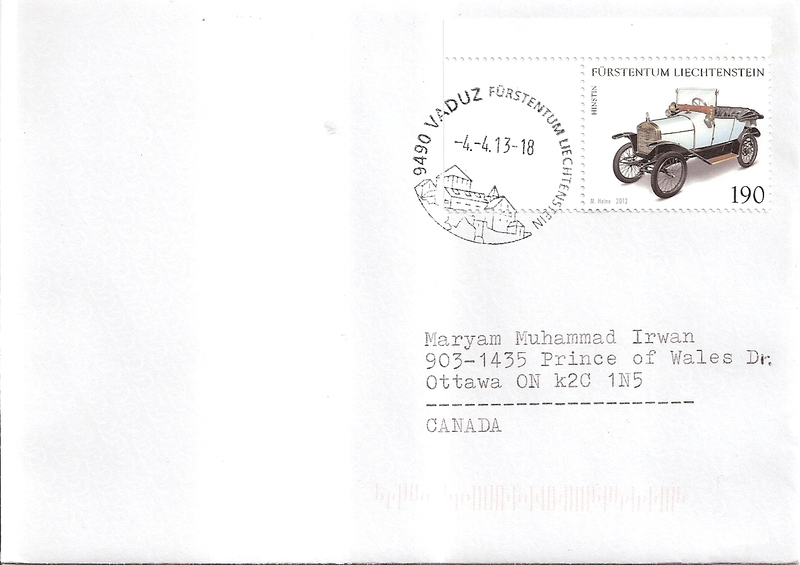 The postmark date is 4 April 2013 and the location is Vaduz, the capital of Liechtenstein. 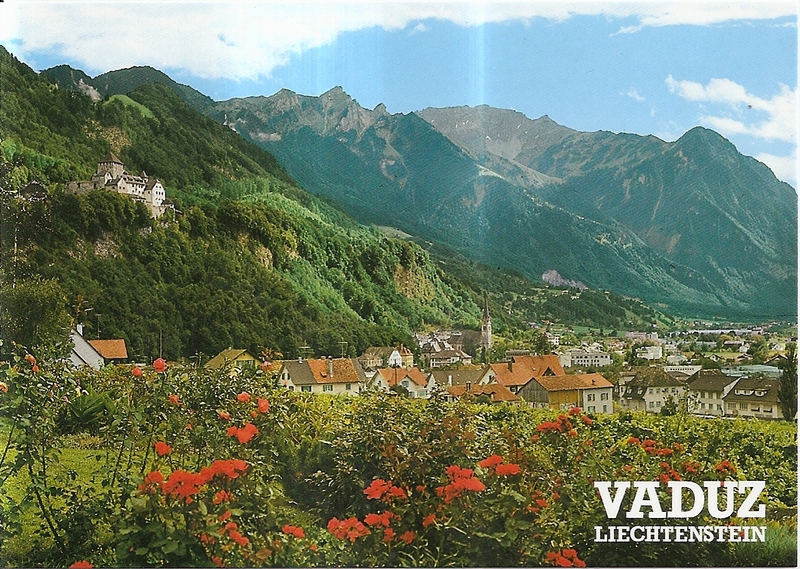 Inside the cover, Florian sent me a postcard that shows a beautiful view of Vaduz. Thank you very much Florian!